Comments: This delightful blend of single, double, and multi-colored varieties grows 3 - 4 feet tall, the perfect height for a stunning sunflower hedge. Sturdy thick-stalked plants stand upright all season, no flopping even when loaded with blooms. 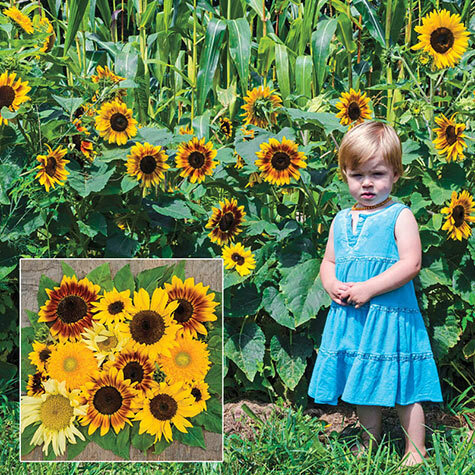 Pollen-less flowers are perfect for cutting and just keep coming from mid-Summer on.